How many fond memories we made this year! 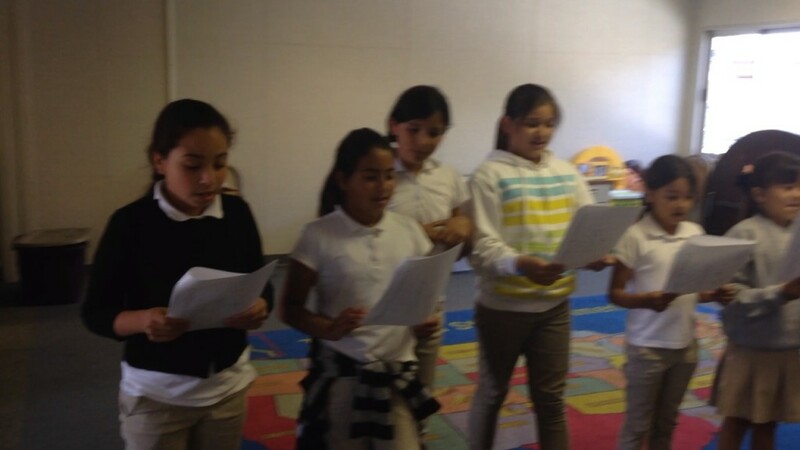 Before the beginning of Summer, we shared our project with the Las Flores (“The Flowers”) after school program organized by Campeonas de la Salud -an initiative by the San Jose State University students of Public Health- at McKinley School. The program Campeonas de la Salud (“Health Champions”) covered nutrition, exercises and even spa treatments for the participating moms and children. Our good friends there invited us to the closing of the program to provide some dental care reminders. We spent the afternoon reading and coloring the pages in Spanish of Quincie’s “Un Día Para Aprender Sobre Los Dientes” and we also had the chance to watch the kids pledge to eat healthy and stay active during their Summer break. Girls pledging to eat healthy and stay active during summer. 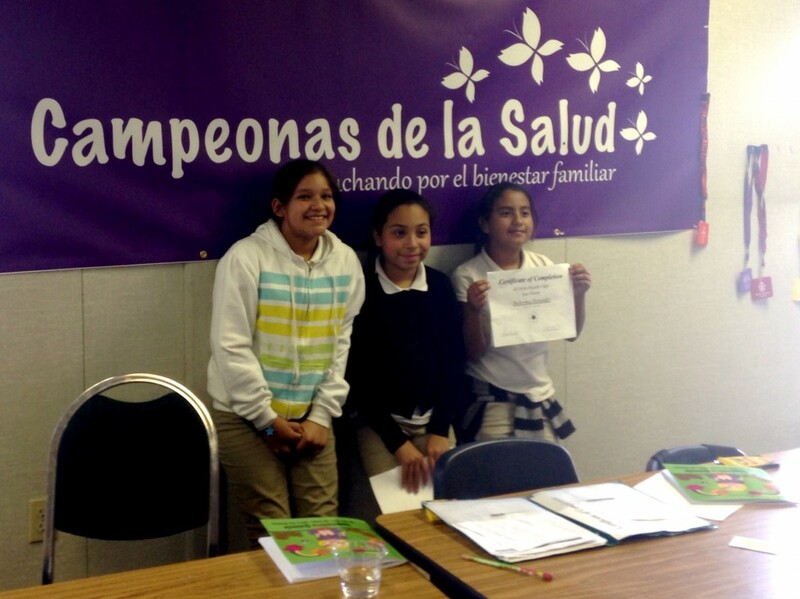 Campeonas de la Salud (Health Champions) Banner. With the kids and their artistic skills coloring Quincie. 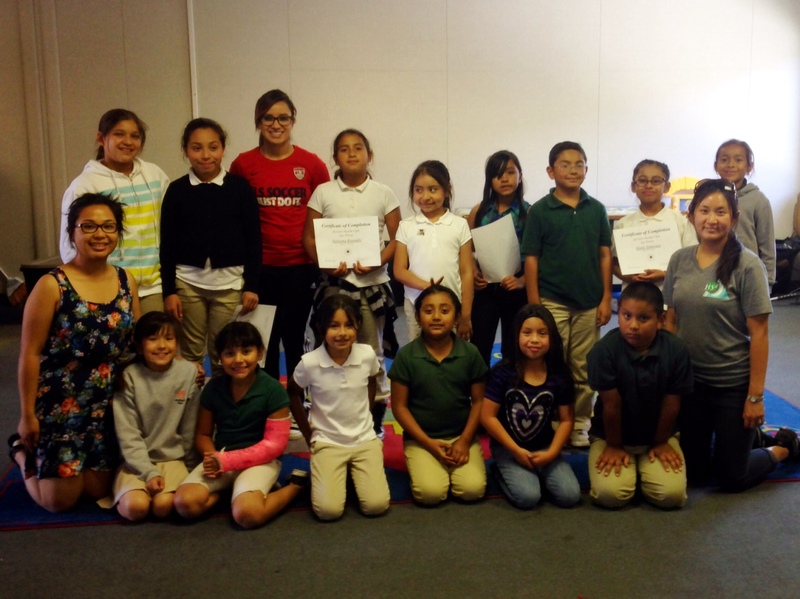 We also welcomed Dr Barrera, a pediatric dentist in Campbell to our program this year. He shared with great pleasure with us that Quincie is a great learning tool and that kids who appreciate reading like the book two times more. 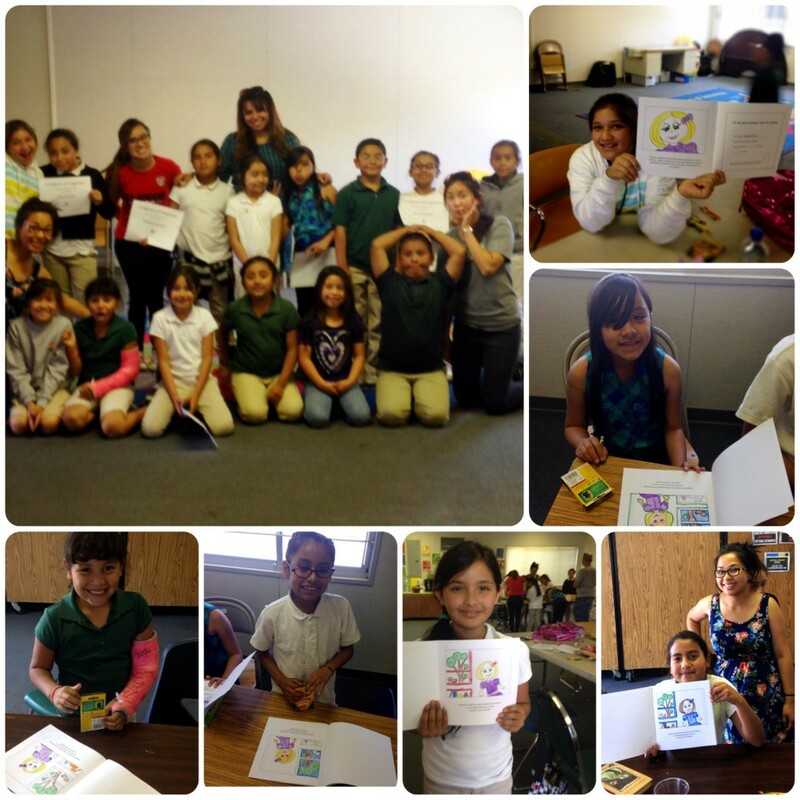 We also participated all year long with For World Wide Smiles with copies of Quincie’s A Day Learning about Teeth. This year Quincie went to Haiti along with a group of volunteers who provided dental health care to many children in rural areas. By their own words, “The coloring books & crayons were such a hit with the children in Haiti.” Educating, entertaining, expanding possibilities and giving a sense that there is more people caring are few of the things that motivate us. Most of the times, when people don’t look for a brighter future is because they believe there is none available. By getting closer to issues that matter to us, we become agents of change and improvement. As the new year approaches, we are working towards finding other channels to promote good oral health; and a second title is on review for publication. Coming soon! We are still weighing the option to create a full-color version to support the coloring book; but for now, we are relying on the eBook version available through Kindle. We want to wish you a jolly holiday season, and a Happy 2015… Happy Holidays! If you want to receive updates about this project, please join our email subscription list to receive the latest information on this project. It’s free!